Located in the eastern part of Zhejiang Province, Ningbo, a sub-provincial city, is one of the three major economic centers in Zhejiang. 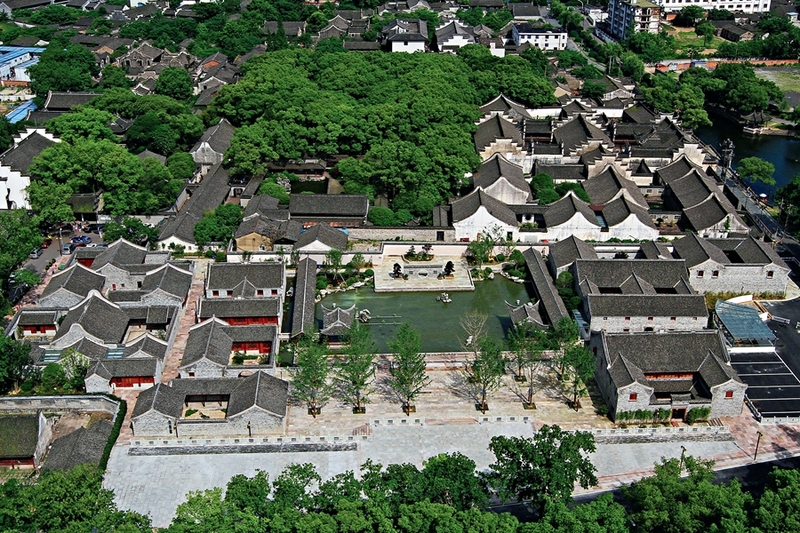 Enjoying rich cultural heritage and long-standing history, Ningbo owns Neolithic cultural sites and China’s earliest private library Tianyi Pavilion. Ningbo people have long cherished the tradition of respecting intellectuals and laying emphasis on education. Meanwhile, Ningbo is also the sea port at the southern end of China’s Grand Canal. The city is not only one of the starting ports of the Maritime Silk Road, but also an important oriental port connecting Ningbo to more than 600 ports in over 100 countries and regions in the world. It is also a famous hometown of many overseas Chinese. Overseas Ningbo confraternity has become an important bridge linking Ningbo with other parts of the world. Located in the middle of the coastline of Chinese mainland and the southern wing of the Yangtze River Delta, Ningbo has aboundant water sources, and the river and lake sediment makes the soil there fertile. In 1973, archeologists discovered four successive overlying cultural layers in Hemudu Town of Ningbo. The earliest date was about 6,000-7,000 years ago. Tens of thousands of cultural relics were unearthed, along with cultivated rice, the earliest crop discovered in China, indicating that there was already a progressive primitive culture in the lower reaches of the Yangtze River between 6,000 and 7,000 years ago. Later, this culture was named Hemudu Culture. China's oldest private library – Tianyi Pavilion. Among the wide range of artifacts, there are original wood machinery for textile, bone whistles and other original instruments, tools made of stone and animal bones, as well as a large number of pottery and primitive architecture. The architecture in the region uses timber piles as the foundation. Wooden supports are then set up, with paved floors to form a foundation bed above the ground, and then finally building columns, beams, and gable roofs, and surrounding the structure with a reed mat and bark. This kind of overhead building with a long corridor is called stilt style architecture, which adapts to the humid and rainy climate in the south. Today, these buildings can be seen in southwest China and Southeast Asian countries. A good deal of rice was also found there. After multiple samples were tested, it was identified as a cultivated species of rice by agricultural historians, which corrected the former belief that China’s rice cultivation was imported from India. In academia, it has been established that the cultivated rice in China originated from its native land, which does not have just one area of origin, broadening the research field on the origins of agriculture. About 400,000 pieces of pottery were also unearthed there, including 1,221 intact and recovered potteries. The most distinctive style is the early carbon black pottery. Hemudu ancestors intentionally incorporated carbon powder in the clay, mainly to reduce the clay viscosity and improve the yield. There are different types of pottery, according to the use of functions; they can be divided into the categories of cooking, diet, storage, and water container. The unearthed items also include artifacts made of stone, bone, and wood, as well as primitive artworks.